Gravy plays a big part in our Thanksgiving meals. To make the perfect gravy, follow these great tips from “Mad” Max Rosen. You will see first hand that Max not only knows his turkey (grilled on the Big Green Egg using his Mad Max Turkey Method), he knows his gravy too. Make your own stock for better gravy. Gather turkey parts (necks, giblets, wing tips), chicken backs, even duck carcass in a big pot of water with onion, carrots, celery and Mad Max Turkey Seasoning. Let it simmer in the pot for as long as possible, even overnight. The more flavorful the stock, the richer your gravy will taste. Get good pan drippings from your turkey roasting pan. This is pure concentrated flavor, making for a darker, richer gravy. Aim to finish your turkey a good 1-2 hours before serving. This way you will have plenty of time to make your gravy and let it simmer to a great finish. The longer you can let your gravy cook/simmer, the less flour taste you will have. Keep stirring for smoothness. 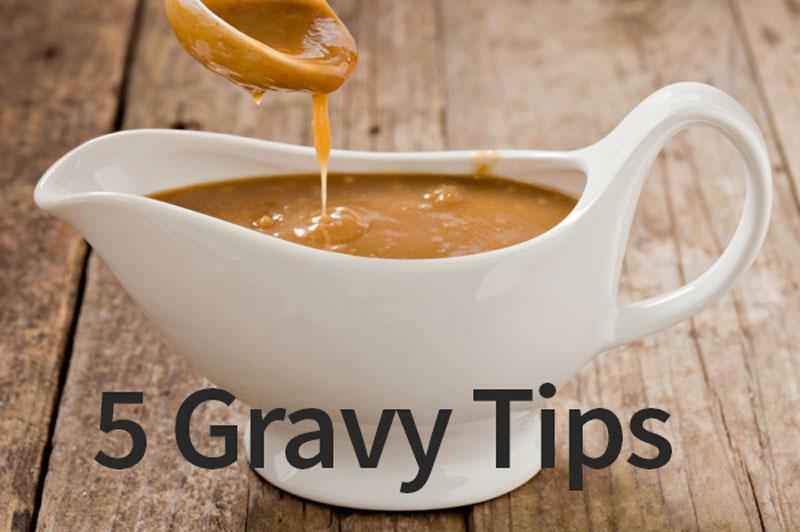 If you find that your gravy is a little thin, don’t add flour or cornstarch directly to your gravy. Mix it with stock to make a slurry before stirring it into your gravy – and make sure the stock is not hot. This will make lumps in your gravy a thing of the past. Use the meat from the neck and giblets, chopped finely for the big finish.